Meditation word itself means working on self-consciousness. 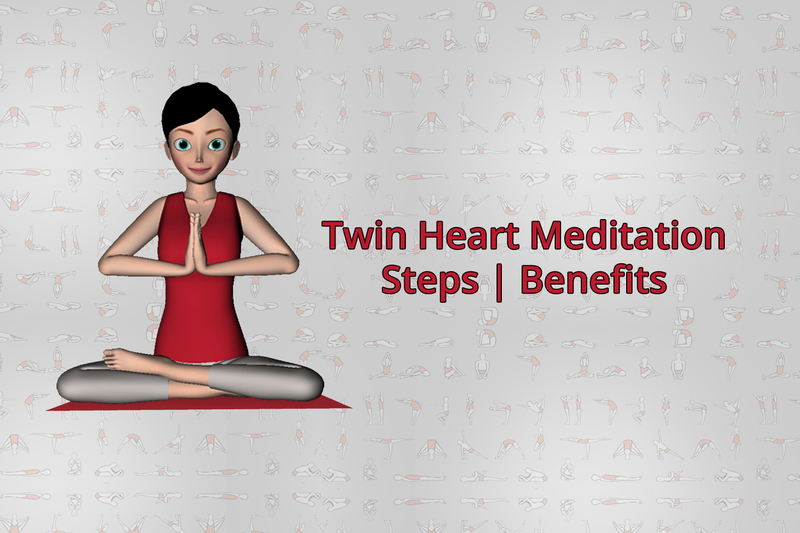 Twin Heart Meditation is a similar practice which allows you to gain the maximum consciousness. The practice of twin heart meditation is introduced by Master Choa Kok Sui. It allows the meditator to feel the peace and the cosmic energy flowing into the form of power in the body. Thus, the practice provokes the personal healing, growth and the literal positive life change. It is basically the game of chakras which we must have often heard. The opening of chakras and gaining peace is no false note. Meditation is real and opening chakras for more consciousness are facts which earlier monks use to practice. Moreover, opening chakras relates to winning over self and it is highly important in the materialistic time we are living. It often drowns down by our wishes, wants, greed, expectations etc. Where lies the peace here? So comes the practice of Twin Heart Meditation to eliminate the negativity and gain the control over self by focusing and working on all three aspects Physical, emotional and mental. How Does Twin Heart Meditation work? The practice of the meditation let the human being to deal with emotional traumas which helps in gaining more consciousness. On the top, this meditation focuses on emotional healing and eliminating negativity. The meditation practice is basically a gateway between the mental, physical and emotional self. There are two sections in the human heart. One is the heart chakra and the other one is Crown chakra. The heart chakra is for emotions and the Crown Chakra is for spiritual self. The meditation practice conquers a connection between these two with the help of physical and mental powers. Hence, when all of it combines, it provokes the connection of both the section of heart and. After the creation of both the sections of the heart, a surplus energy get introduced in the form of a pure white light. The white light is Prana in the twin heart meditation. This white light starts passing from crown chakra to the mind and the entire body. Therefore, The white lights symbolize the illumination. This positive ray is believed to heal many diseases like diabetes, heart problem, clots, depression, stress, negative thoughts, etc. So, to overcome and heal all of it, twin heart meditation introduced. First of all, before performing the meditation you need to remove laziness and feel the activeness in the body. So start with a normal warm up. Warm up your whole body by different exercises like jumping slowly, fast walking, on spot running. Then stretch each part of the body simultaneously. Beginning with rotating the neck to rotating the toes and stretching the whole body by performing tadasana. This will make the body active and it will help you to remove negativity fast. Now sit in the most comfortable position and take deep breaths. Feel the energy and warmth of your body. Straighten your spine if you have a habit to bind it. Start counting on to the good side of your life. The good people and blessing. Feel the utmost positive you can feel. Now touch your heart and recall all the happy moments of your life. Remember all the people who you consider as the blessing. Remember the people who want to see you smile. Now touch the center of your head and wish for all the living organisms. Wishing for other gives you the feel of divine and happiness. Send the real blessings to all. Now again take a deep breath and a pause for the moment and start chanting the word Om chanting .” The word itself carries huge power and eliminates the negativity. The vibrations of the word “OM” directly connects you to the universe. Thus chanting it daily can give you several benefits. Try to see the white light in the center while chanting. After chanting, open your eyes slowly and feel the bliss and peace. Once the perfect vitality moves through you, it normally flushes the spent and undesirable energies inside your framework; so after the meditation practice, you turn into a fresh version of yourself. Twin Heart crumbles the undesirable feelings and thought frames inside your chakras and emanation. So, It influences energy and joy to easily fall into place for you. Once the undesirable idea structures and feelings are out of your mind, your psyche turns out to be clear and your feelings more refined. It promotes you to create a good image of yourself. One can do so if he/she is feeling powerful. The meditation provokes you to do good karma. Good Karma leads to bring good luck in your life. The meditation heals almost all the disease- heart disease, Blood cloths, Blood pressure, Diabetes and much more. It detoxifies the body from all the toxins and negative thoughts. It sharpens the intuition power of self. People with hypertension, heart sicknesses, and glaucoma ought not to perform Meditation on Twin Hearts. The meditation produces a huge flow of energy and may disturb those conditions. Individuals younger than 18 years should not rehearse the meditation on the grounds that their bodies are not completely developed and cannot endure the vitality of this practice. Make sure you practice it in a clean room with good ventilation. As the impacts of the practice may not be complete due to untidiness. Do not perform it mechanically. Perform it with the real feelings. Thus only you can feel the effects and impacts of the twin Heart meditation. Twin Heart Meditation is a practice in which more than ten Thousand people are performing daily across the world. Chanting has always shown us the right path. For ages, people are practicing it to gain power and energy. However, the idea of twin heart meditation is a little different. It doesn’t really offer power but strengthens you emotionally and physically that one get capable to deal what may come. The practice lets you feel the best version of yourself. It offers you utter happiness and at least gives you the ability to bless others and heal others. It allows you to communicate with the whole universe in a certain way in which you feel connected with all the living organisms. It promotes the peace, which we need the most. The world is a place full of needy and there you can make use of yourself by sending blessings and help the living beings.